You Are Here: Home » Health » Doc's Corner » Walking out on Alzheimer’s Oct. 13 at 8 a.m. Walking out on Alzheimer’s Oct. 13 at 8 a.m.
A person’s memories make who that person is, and to lose that is devastating. Some refer to Alzheimer’s disease as “the longest goodbye,” but some are working to bring awareness. 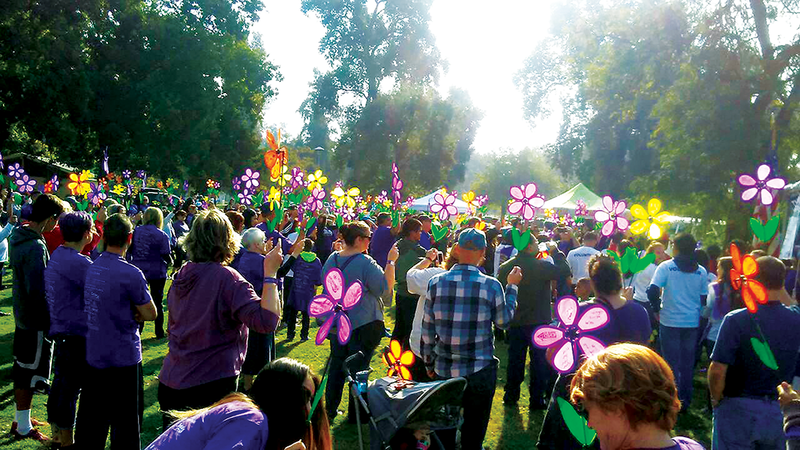 The Alzheimer’s Association’s Walk to End Alzheimer’s is the world’s largest event to raise awareness and funds for Alzheimer’s care, support, and research. The walk is Oct. 13 at Mooney Grove Park and begins at 8 a.m. This walk started in 2014 and it represents all cities of Tulare and Kings County. This walk is held annually in more than 600 communities nationwide. Alzheimer’s is the most common of the Dementia’s and is the 6th leading cause of death. It kills more than breast cancer and prostate cancer combined. Currently 5.7 million Americans are living with Alzheimer’s, and is increasing every year. By 2050, the number is projected to rise to nearly 14 million.